​You will receive individual and group instruction from some of the most exciting, enthusiastic, and godly leaders of Child Evangelism Fellowship. These instructors will equip you to teach and counsel boys and girls to receive Christ. Your training will be focused on preparing you to teach 5-Day Clubs ® . These are neighborhood Bible clubs for children held in backyards, 90 minutes a day for five consecutive days during the summer. 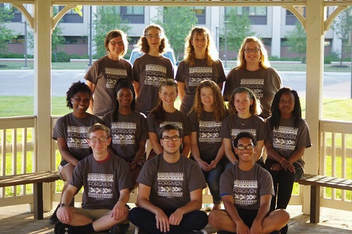 Our summer missionaries (YOU) teach exciting Bible lessons and true-to-life missionary stories. These clubs also include: fun games, singing, sharing, memorizing verses, and more fun ways to share the Gospel. ​What are the outcomes of CYIA? The CYIA training is held at a facility that is well suited for individualized instruction and group learning. Excellent opportunities for sports and recreation are part of the 7-day training event.